Get your customers excited about voting for your in my “ruff competition” Reader’s Choice Awards! It’s a hotly contested, no-holds barred, voting palooza so make sure your business gets recognized as a fave pet business in Houston! Download and print this PDF, post in your place of business and get noticed! 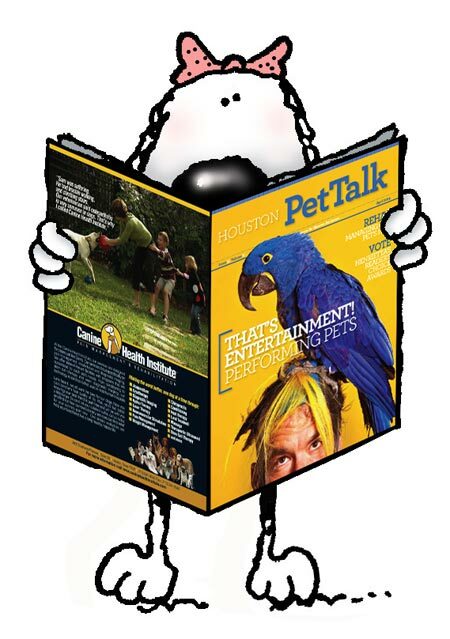 Winners are announced in our July 2010 Reliant Dog Show Issue…hurry up and bribe your customer today! Where the heck are you supposed to vote?? ?